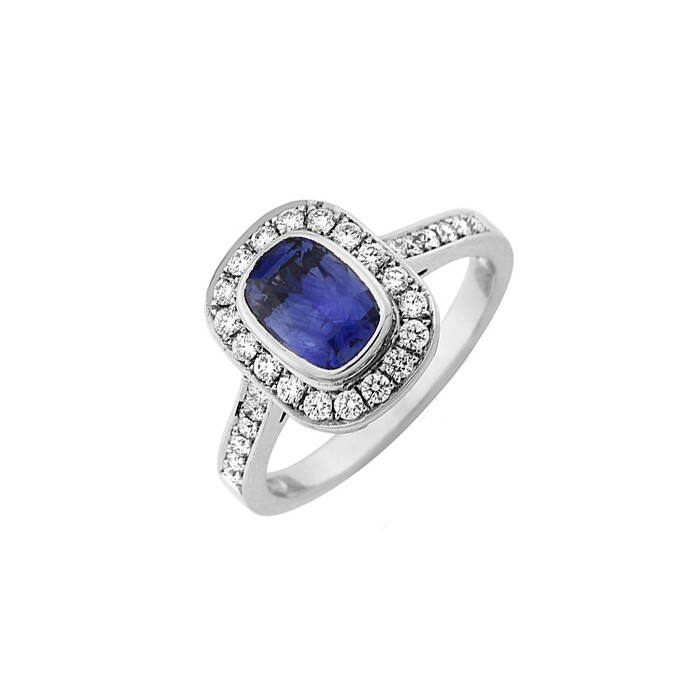 In a modern interpretation of a classic style, this excellent deep blue sapphire has been surrounded by a fine halo of pavé set white diamonds to create this delightful cluster ring. 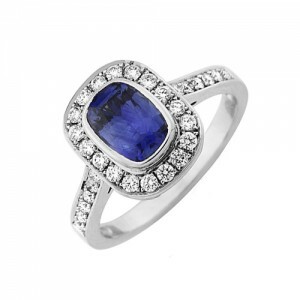 The sapphire itself has been given an unusual long cushion cut and then encased in a fine bezel of white gold. Further pavé set diamonds decorate the shoulders to complete the vintage style look. 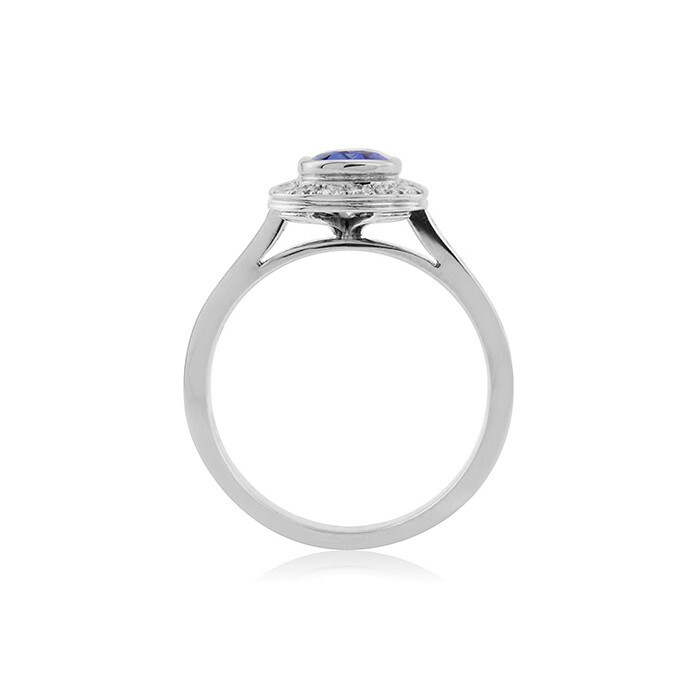 The design is such underneath that, if required, a straight band can sit flush alongside making this all-purpose ring perfect for an engagement ring or simply a beautiful dress ring for those who love the colour blue.